Which Furnace Filter Should I Choose? Choosing the right heating system in Murfreesboro keeps your home efficient and comfortable, but you need to think about the type of filter you’ll use as well. Your filter keeps contaminants out of the air so you can enjoy top-notch indoor air quality and a heating system that functions wonderfully. Watch this video clip to find out which furnace filter you should choose. 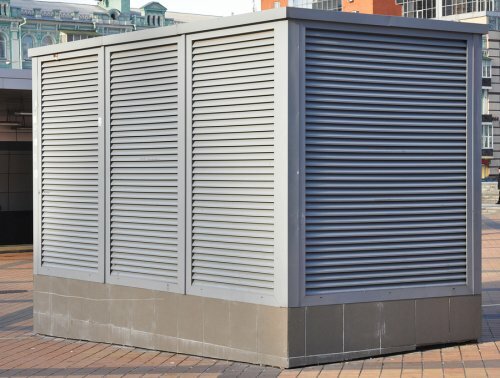 It’s common to see forced air systems in modern homes, but what does this mean for your HVAC maintenance? You’ll need to find a quality filter to keep dander, allergens, and other debris out of your air. First, look at the filter that you already have in place to find the size. Then you can go out and purchase a new filter of the same size, but stay away from filters that are transparent. Opt for a pleated filter instead, especially if it has an electrostatic charge. Regular HVAC maintenance is crucial to staying comfortable throughout the year and keeping your energy costs low. There are certain tasks you can perform—such as changing your air filters every 1 to 3 months—that can help your cooling system perform better. However, routine checkups performed by a licensed air conditioning contractor are a necessary addition to your system’s regular maintenance. 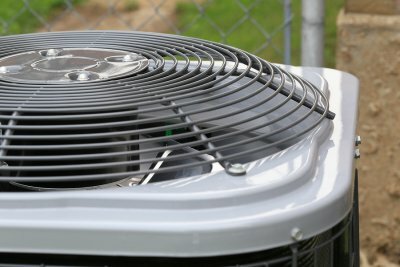 Let’s take a closer look at how scheduled HVAC maintenance will help keep you cool this summer. Air conditioning contractors should inspect your heating and cooling systems twice a year, before the summer and winter seasons, to ensure they are running at top efficiency. During this inspection, a contractor will clean all parts of the units and he will test the components for any defects. 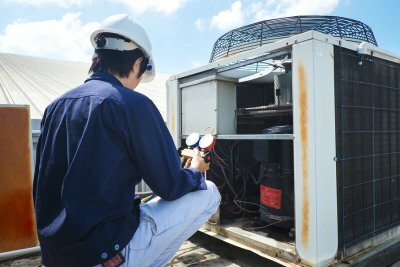 Your contractor will also inspect the units for any refrigerant leaks that might unknowingly be causing damage to your property and cooling system. These biannual inspections will keep your HVAC system running cleanly and at peak efficiency. These attributes can reduce your energy costs and make your home feel more comfortable. You rely on heating and air conditioning installations in Murfreesboro to stay cool in the summer and warm in the winter, which keeps the whole family happy. Unfortunately, young children don’t necessarily understand HVAC floor vents and might attempt to play with them. This can be dangerous for your children as well as harmful for your heating and cooling systems, so you should do your best to discourage this type of behavior. Feel free to keep reading for some of the top tips for childproofing HVAC floor vents. Being a homeowner can be taxing, especially if you have young children to look after. Many homeowners who have children have run into problems with their HVAC floor vents. If your son or daughter has been playing with and lifting up the registers, it’s a good idea to secure them to the floor. You can do this by nailing or screwing them down, or you could even use double sided tape. If you would rather not completely secure your HVAC registers to your ground, consider screening them instead. This will help to protect your child and your heating and cooling systems. Take extra care and buy a plastic register instead of a metal one. Is It Time to Upgrade Your Furnace Filter? Your new heating system in Murfreesboro will only operate at peak efficiency if you take the proper steps to maintain it, which involves cleaning or replacing the filter on a regular basis. Sometimes it turns out that your filter doesn’t quite cut it, however, at which point it’s a good idea to upgrade. Watch this video to see if it’s time for you to upgrade your furnace filter. The purpose of your furnace filter is to keep contaminants away from the mechanical components of your furnace and out of your air. If there is too much space between the fibers of your filter, it won’t do a good job of keeping these components out. Poor indoor air quality is one sign that your furnace filter might need some attention, so consider upgrading to a polyester electrostatic filter. This is a permanent filter that can pay for itself in savings. Your heating system is important to the comfort of your home, but problems can disrupt that comfort and cause significant repairs and damages. Weird noises, malfunctioning pilot lights, and dirty filters are some of the most common problems that heating experts near Murfreesboro see every day. 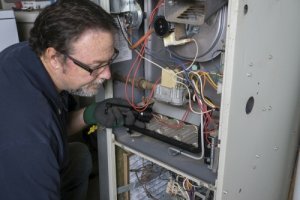 Here is a better look at top furnace problems and how they can affect your home. Strange sounds from your furnace could signal a serious problem. If you hear rattles, squeaks, clunks, or rumbling, then a heating expert should be out soon to inspect the unit. These sounds may be a sign of a clogged burner or a mechanical issue. Your heating system should be inspected soon to rule out a serious repair or potentially dangerous heating issue. Your air conditioning filters and furnace filters should be changed out throughout the year. When your furnace is not in regular use, then change the filters every three to four months. When your furnace is in use during the winter, though, change the filter every month. Changing the filters keeps your indoor air quality healthy, and it prevents your cooling and heating systems from overworking. Changing the filters regularly can also keep your energy costs low throughout the year. 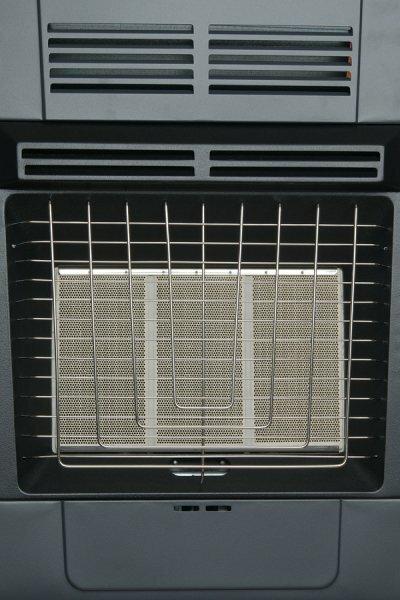 The pilot light is essential to your furnace’s daily function. If the pilot light goes out, then your furnace will not heat your home. A malfunctioning pilot light can also cause potential dangers to you and your family. The pilot light runs off gas, and malfunctions could cause the gas to continue flowing without a flame. If unlit gas flows through your home, then you and your family could be at risk for carbon monoxide poisoning. Furnaces can last up to 20 years with regular maintenance. However, they will eventually need to be replaced. If your furnace has reached the end of its life, or if it requires frequent repairs, then start looking for a heating replacement. Your heating expert can help you choose the correct model for your home. While the summer months may currently seem like they are very far away, the weather will start heating up sooner than you may think. To get ahead of your household maintenance tasks during the spring and summer, now is a great time to schedule a preventative maintenance appointment with air conditioning contractors near Murfreesboro . A team of air conditioning experts can make sure that every aspect of your HVAC system is working properly during the summer months. Here is a look at why it is so important to maintain all of your heating and cooling system components this summer. Energy efficiency is a top consideration for homeowners during the hot months of summer. If you have not taken the time to maintain your HVAC system, you may find that your air conditioner operates with poor efficiency. An inefficient air conditioner can cost you significantly on your monthly cooling bills. 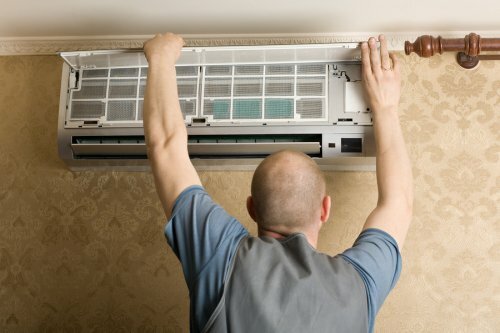 Preventative maintenance will allow you to restore the efficiency of your HVAC system before the peak of summer arrives. An HVAC maintenance emergency can be inconvenient and even potentially dangerous during the heat of summer. Without a properly working HVAC system, you will have no way to cool down your home. Taking the time to maintain your entire HVAC system can help you avoid a sudden breakdown. Overall, your maintenance appointment will provide you with peace of mind during the hot summer season. When you neglect to maintain your HVAC system, the overall air quality of your home could suffer. Clogged air filters and dirty ducts can all place contaminants and toxins in the air that you breathe. Scheduling HVAC maintenance during the summer season will ensure that the air in your home is clean and healthy for your family members. If you are planning ahead for summer home maintenance, now is a terrific time to schedule a preventative appointment for your HVAC system. At Quality Heating and Air LLC , we are pleased to provide our customers with a range of financing options. When you call us for a heating system repair or replacement, we can help you finance the costs that are associated with your services. By working with our heating experts in Murfreesboro, you can rest assured that you are receiving quality repair or installation services at a fair price. 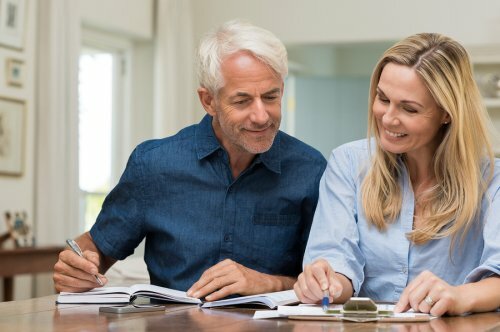 When you contact us for a heating system replacement, we will go over some of the most popular financing options that we have available. The TVA Energy Right ® Loan Program can provide you with financing for up to $15,000 towards the cost of your heating system. This unsecured loan program requires no collateral from the homeowner. If you are seeking a same-as-cash loan, you may want to look into the benefits of the GEO Smart financing program. With these programs, you do not have to let cost be a prohibitive factor in the heating replacement services that your home needs this winter.